You could be winning a family trip full of aqua fun! Make sure you check out this incredible aqua park this summer right in the heart of the New Forest. If you do anything this summer, you HAVE to check out the New Forest Water Park! It's incredible fun for all ages and with the UK hotting up, it's the perfect way to cool down... and have the best day out while you're at it! 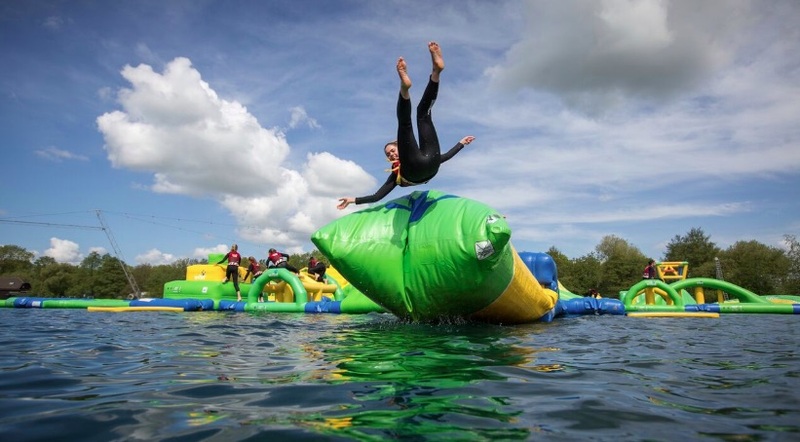 The New Forest Water Park certainly ticks all the boxes for water park fun - as well as a huge inflatable aqua park to enjoy, there's also wakeboarding, kayaking and paddle boarding on offer. Plus, if you fancy fully immersing yourself in the great outdoors, why note make a weekend of it, and book a lakeside pitch to camp and enjoy the beautiful setting of the New Forest Water Park. Nearly half a million people attended New Forest Water Park last year to enjoy the on-water facilities. The Park is recognised as the UK’s very first Wibit* adventure playground and their water sports also includes 5-pylon cable wakeboarding, stand-up paddle boarding and kayaking. The park opened earlier this year with two newly installed state-of-the-art Wibit inflatables known as the Springboard, which towers over the water at 10.5ft and Target, which looks like a huge on-water wagon wheel.